Introduction: Shimano continues to round out their rod offering with the release of their highest end rod to date, the Cumara. The Cumara features some of the elements that made the Crucial popular but adds in an extra level of refinement with a touch of enthusiast import style. We fish the Cumara for over six months, and our field tests take us from El Salto, Mexico to Clear Lake, back to our home water on the California Delta, and full circle back to El Salto again. 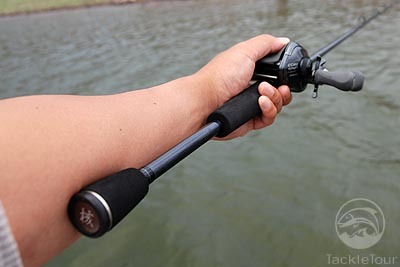 Length of Rear Grip 9"
Impressions: Shimano rods have come up quickly backed by a strong channel, and one of the best lifetime warranties in the industry. But warranty alone does not make a rod a winner among bassers that place severe demands on their application specific rods. 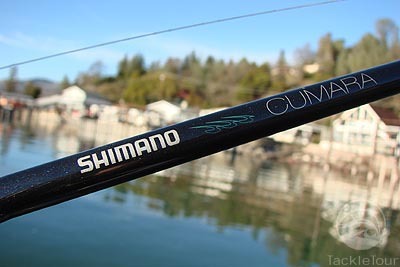 The Clarus rods proved that Shimano could make a competitive rod at a price point that really made it among the top values at the time. The higher positioned Compre rods while more feature rich than the Clarus found itself going head to head with tough competition at the near 100 dollar price point. That�s when the Crucial came in, and won over many anglers that up to this point would have rather put their Shimano reels on a competitor�s rod. The Crucial rods offered a unique blend of features and custom style that made it an instant hit among anglers looking for a quality rod worthy of their high end Shimano reels, yet didn�t cost an arm and a leg. Crucial rods are constructed with light, powerful IM9 Graphite that makes them responsive, sensitive and light in your hand. All guides are top quality Fuji Alconite Guides with lightweight frames. To this day the Crucial rods remain among the best values in the industry retailing for 129 dollars, but are still not premium enough to compete with the higher end sticks from popular Tier 1 rod brands like G.Loomis and St. Croix. 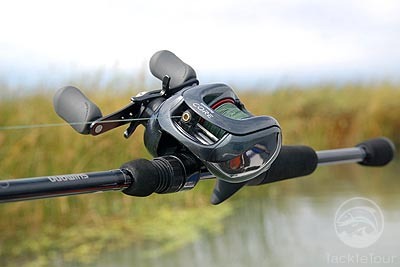 It was just two ICAST�s ago that Daiwa also solidified its position in the US premium rod space by delivering their most high end rods to date, the very enthusiast oriented Steez Graphite and Compile-X series. The Steez leapfrogged their already popular Light and Tough rods and Cielo bass rods in terms of design, style, and performance. With the enthusiast rod market in the US maturing the Steez was a dream come true for Daiwa fans looking for a home for their premium magnesium based TD-Z and matching Steez reels. At that time many Shimano fans contacted us wondering if there was something from the Shimano camp on the way to compete with the Steez rods, but what we also received was an overwhelming number of questions as to when a higher end magnesium reel from the company would arrive. Shimano fans finally got what they were asking for in a magnesium reel with the introduction of the Core. 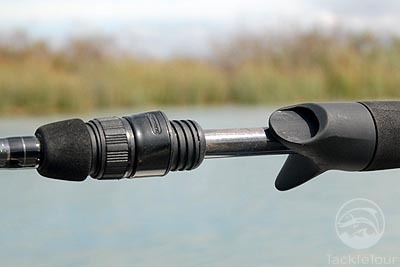 Though Shimano engineers denied that the Cumara was designed to match the new reel, the parallel launch of the new rods came at the perfect time. Debuted at El Salto last June, these rods offered Shimano fans a new flagship rod, and one that like the Steez, was designed to be both lighter and more sensitive than the competition. 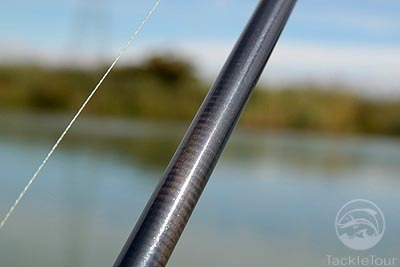 The Cumara �ultra-performance� bass rod series is specifically designed for bottom bouncing techniques and features IM-10 graphite blanks, Fuji� Sic guides and custom performance reel seats that completely expose the blank. 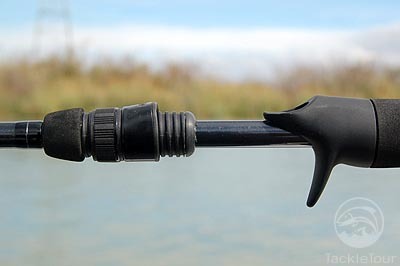 There are eight rods in the casting series, and they range from 6�8� to 7�2� in length. This is not a very big spread and most of the rods are differentiated primarily by power and action. Turning our attention to the initial impressions of the rod�s outlook the Cumara features a paint finish that looks different under various lighting. In low light the blank looks dark blue, almost black. In morning light you can see colored flakes and the blank takes on a pearlish blue tone, and under harsh sunlight you can see the actual fiber of the blank. I prefer rods that have a matte finish with less gloss because of the added weight of the gloss and the sometimes reduced feel. 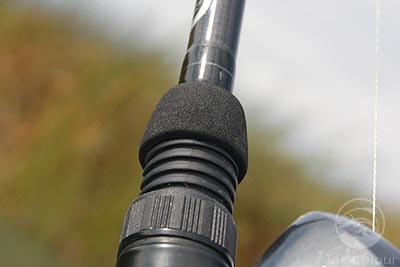 The Cumara does have a layer of gloss to protect the blank but it is very thin, so that it doesn�t significantly impact the rod weight or deaden the feel of the rod.